My blog post title, it's familiar right? We often see that in a lot of Facebook statuses but that's what I am really hoping this February will turn out to be or even better because there were just quite a few of unexpected surprises and some of life's detours last month. First, I have already set my schedule to use the 2nd week of my holiday off for our medical check-ups and work on some papers for my family (it's my chance, no need to file a leave or be absent from work and have salary deductions hehe) since government offices etc are now back but I had to reschedule all of them. 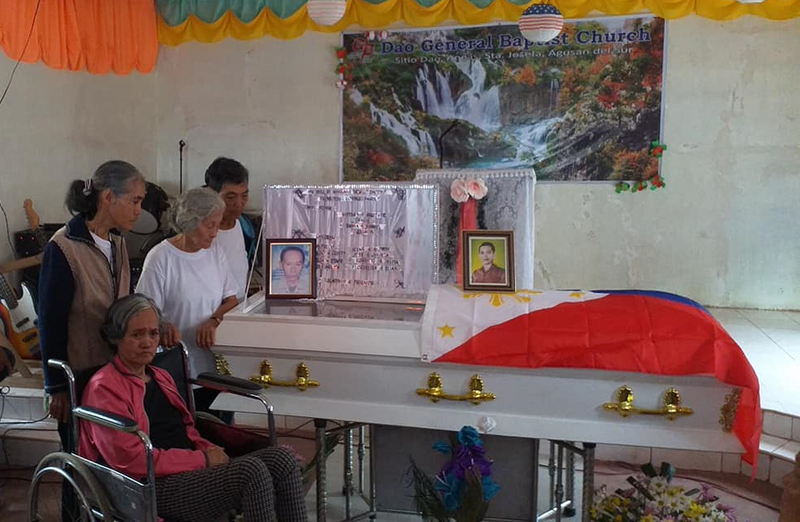 We received a news from my cousin (the one helping me at home) that the brother of my mother had died (only brother left at 86 years old, he attended the Esencia Clan Reunion last December). And she requested to stay longer at the province to help. She was supposed to be back after the New Year. So I had to cancel everything and stay at home to look after the needs of my family. And of course, my mother really wanted to see him even for the last time. So the little money that I have saved (supposed to buy a new computer) was used for our travel expense (Thank God, I still have that money). I booked a private vehicle because I can't leave my father and brother at home. We need to travel as a family and it's hard if you will travel using a public transpo especially with our situation. But before that, I also encountered ATM problems. I withdrew money the night before our scheduled travel. Unfortunately, the ATM didn't dispense the money. I was really worried. Though I still have a little cash to pay for the van, I was worried about the money that I am going to use for our food etc on the next few days. Good thing, it didn't take that long before the money was returned. It only took 2 days. It was faster because I withdrew the money on the same bank where my account was opened. 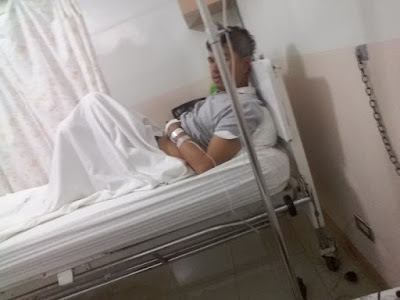 Next, I was already back working in the office but got a news that my boyfriend was rushed to the hospital. He couldn't bear the extreme stomach pain anymore. He told me that the hyperacidity that he has been complaining for yearsssssss (we have been together for 7 years now) is actually gallstones and his skin has turned jaundice (yellow). That news really shocked me and I can't help but cry. While I was going to the hospital, I was crying while in the jeepney, while walking and when I saw him. Just too emotional (sorryyyy). He was immediately scheduled for an operation. The doctor told us that he will be in the operating room for like 3-4hrs. While waiting, I hurriedly went home so I can change clothes and check the situation of my family. I was already back after 3hrs but he was still not out. Though according to statistics or what I found in Google, that this operation procedure has a 95% success rate it still worries me. I kept going back and forth to the hallway (from our room to the entrance room of the operating room). And after 6hrs, he is finally out. I was so relieved. Learned the lesson the hard way. It's a big NO NO to self-diagnose or do self-medication. You really need to consult the doctor for any pain or symptoms that you have. Who knows what it could be? Might be serious or something like what had happened to him. He has been treating it as a pure acid problem. But I'm just glad that it's all over now. No more pain. Same as my uncle. I know he has lived a full life. I don't know how to end my post but I realized that I should stop or avoid complaining. Even though I encountered these life's detours or got these unexpected news or suprises, God is always there. He continue to provide for us. He makes a way. In the same way during the lowest point of my life where my mother had a stroke (where I don't have any money) he sent people to help me. Thank you very much to my bosses, my bff and to everyone who helped. Owe you a lot.